Sacha Lodge is located in the heart of Ecuador's Amazon Basin on the north bank of the Napo River. The lodge is a haven for nature lovers, birdwatchers, scientists and adventure seekers providing comfortable accommodation, good meals and knowledgeable naturalist guides. A particular feature of the lodge is the excellent canopy attractions which include a 275-metre long canopy walkway 30 metres above the rainforest floor, and a 43-metre observation tower. Weather varies greatly, depending on the altitude. The coastal and Amazonian lowlands have a wet equatorial climate but, the higher you go the colder it becomes. 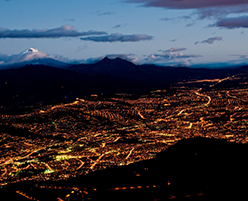 Most large cities are located in a fairly comfortable subtropical zone, although it can be very cold at night in Quito. Further up, it can be cold at all times. Ecuador is a year-round destination but, highland areas are best visited during the dry season - from June to September. 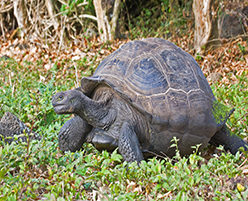 It is better to visit the Galapagos Islands between January and May when the climate is classically tropical: hot air temperatures, wide stretches of blue sky, and occasional - but brief - downpours. The rain brings wet richness to the highlands, making them velvety green and flowery. From London to Quito is 17 hours. Lan Ecuador and Iberia flights operate via Madrid. Galapagos Islands: GMT - 6.